ALLEGATION of fraud is trailing the recruitment of 500 teachers in Edo State by the State Post-Primary Education Board, following reports that applicants were asked to pay N200,000 to be recruited. It was learnt that in order to engage the services of enough teachers in secondary schools in the state, Governor Adams Oshiomhole directed the Board to recruit 500 teachers who would teach science subjects, English and Mathematics. Consequently, the subjects were advertised and over 11,000 persons were said to have applied for employment. Vanguard learnt, however, that after conducting interviews, a list of successful applicants was posted on the notice board, but it was gathered that officials of the Board hurriedly removed the list when members of the public started raising questions about the credentials of some successful candidates. It was observed that majority of those whose names were published did not take part in the interview but were recruited, apparently after paying the money allegedly demanded. Vanguard was reliably informed that majority of those who were recruited were either not qualified or not majors in any science subject. 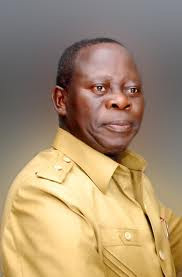 Vanguard learnt that Governor Oshiomhole had been informed of the situation and that there are plans to sack the entire Board members, a situation which is already creating tension among members of the Board.